Chennai has enough options for fun to get you through the week, but weekends are another matter altogether. And if it’s true that any city’s measure can be found in the quality of weekend getaways it offers, then Chennai surely doesn’t disappoint. Be it the azure beaches of Pondicherry or the magnificent monuments of Mahabalipuram, getting out of the urban jungles of Chennai can be quite an adventure. To give you some inspiration, here is a list of the best destinations for some weekend fun around Chennai. Pondicherry has enough merits as a tourist destination to warrant more than just a weekend trip. But that doesn’t mean this beach town won’t be any fun if you don’t have much time to spend here. Its sun-kissed beaches, cheap liquor and tourist-friendly people make it one of the best destinations to visit, not just in the vicinity of Chennai, but in all of India. 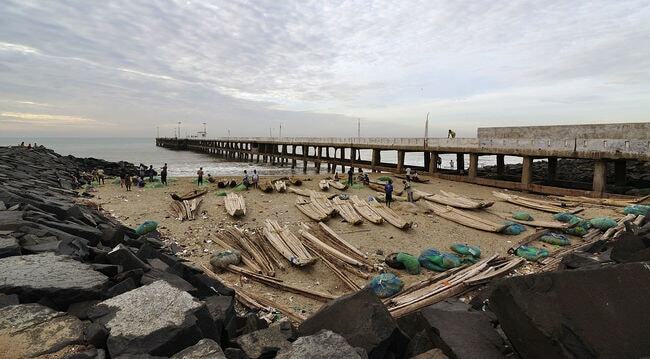 At just 155km away from the city, Pondicherry is where almost all of Chennai goes to spend the weekend. So make sure you book in advance. Kancheepuram is famous throughout India for its chief export – silk sarees. With a tradition and history that predates Chennai by centuries, this temple town is the perfect getaway for anyone who’s interested in Tamil Nadu’s ancient culture. A walk through Kancheepuram’s old silk-weaver towns gives the impression that time has stood still here for centuries, at least when it comes to its craftsmen and their traditions. Kancheepuram was the ancient capital city of Tamil Nadu’s Pallava kings and is also still home to some of the greatest architectural marvels to come out of the state. 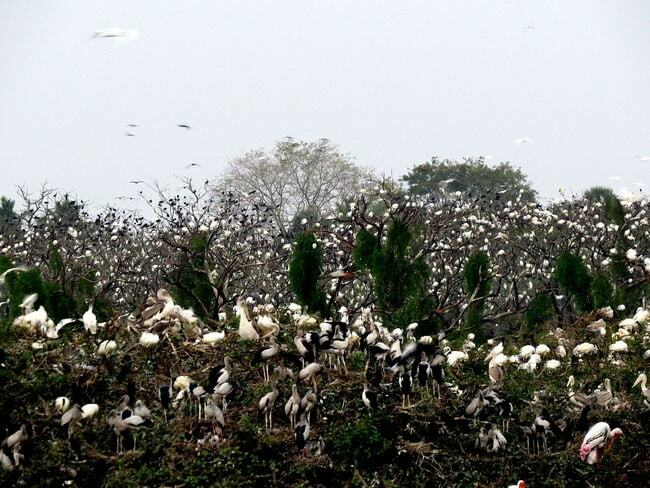 More than 40,000 birds, including some rare species, make Vedanthangal Bird Sanctuary their home every year during the migratory season. And since prehistoric times, Vedanthangal Lake has attracted species from such far-fetched corners of the world as Australia, Siberia and Burma, making it a paradise for birders. While the best time to visit the sanctuary is during the migratory season between November and March, the lake and its pristine surroundings are a treat to visit at any time of the year. 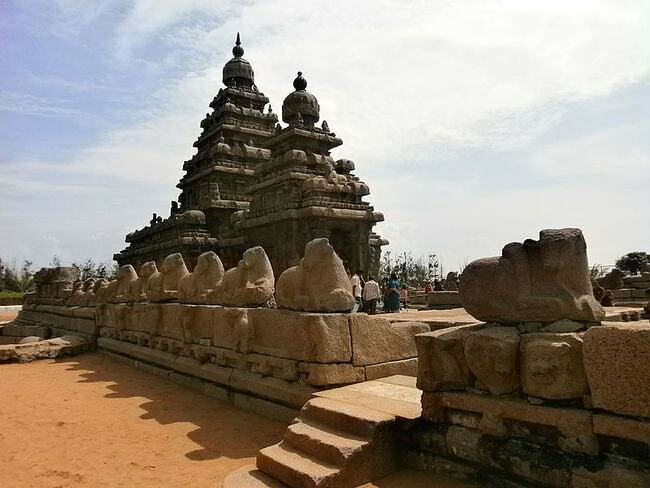 While most people know Mahabalipuram as a cultural and architectural destination and a UNESCO World Heritage Site, there’s much more to this beach town than just its temples. While surfing is a popular recreational activity among those visiting Mahabalipuram, those staying the weekend could also pick up basic skills in sculpture-making through a number of local providers. So it goes without saying that any holiday to Chennai is incomplete without a trip to Mahabalipuram. This old fort and its surrounding villages were ones home to Danish colonists and still retain their Scandinavian charm. Located about 272km south of Chennai along the coastline of Tamil Nadu, Tranquebar truly is a hidden gem that gets far fewer visitors than it actually deserves. If you want your weekend to be spent in a place that is off the beaten track, then Tranquebar surely won’t disappoint. Plus, the five-hour drive to it from Chennai is an experience in itself thanks to the fact that most of it is by the scenic East Coast Road. Located at a distance of just 50km from Chennai on the border between Tamil Nadu and Andhra Pradesh, Pulicat is a treasure-trove of both history and natural beauty. 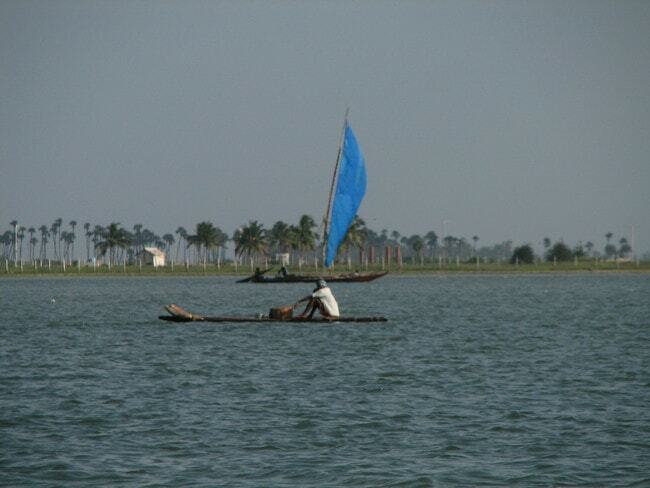 While it overlooks the humongous Pulicat Lake (India’s second largest brackish water lake) on one side, Pulicat is bordered on the other by the Bay of Bengal. 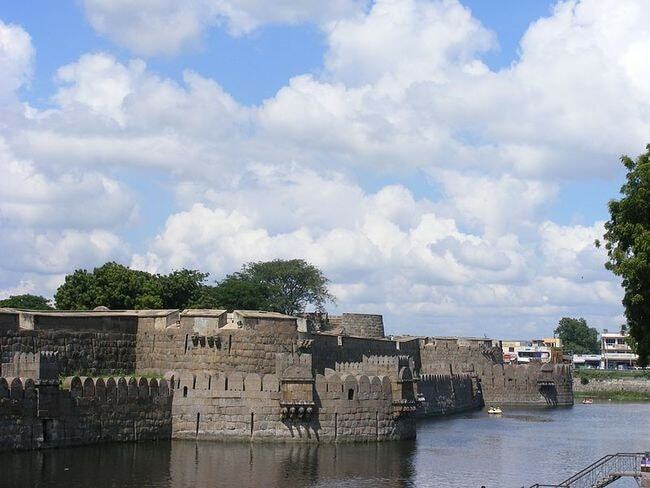 Apart from its scenic beauty, the town is also home to Fort Geldria, the first Dutch fort in India and one of the earliest structures of India’s colonial history. While technical a part of Pondicherry, the coastal town of Karaikal is geographically separated from union territory by over 129km. 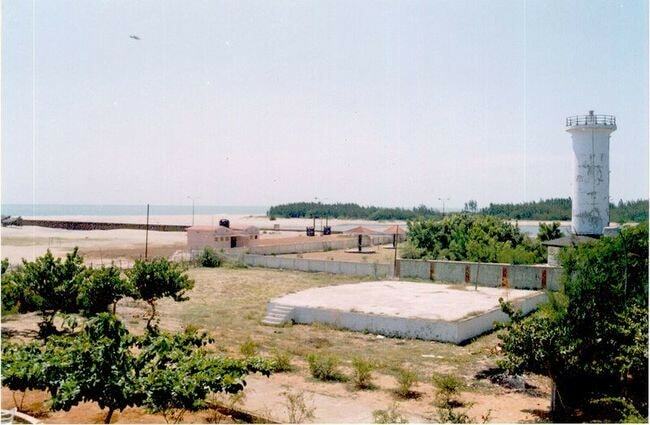 However, Karaikal shares much of Pondicherry’s heritage and reputation for being a tourist paradise. With pristine beaches and some of the best examples of both Indian and French architecture, Karaikal is Pondicherry at its best. The fort town of Vellore has become something of an education hub over the recent years. However, its original glory can be traced back to the sprawling and historically significant Vellore Fort. A ready-reckoner for the fort’s unique and fascinating history is the fact that over the course of the last 400 years, it has been under the control of at least five different kingdoms, none of which were indigenous to Tamil Nadu. As a result, the fort features a confluence of cultures that’s unlike any other in the country. This ancient port town that once traded with Rome and Greece is now popular as the home of one of the most visited Catholic site of worship in the world – the Basilica of Our Lady of Good Health. 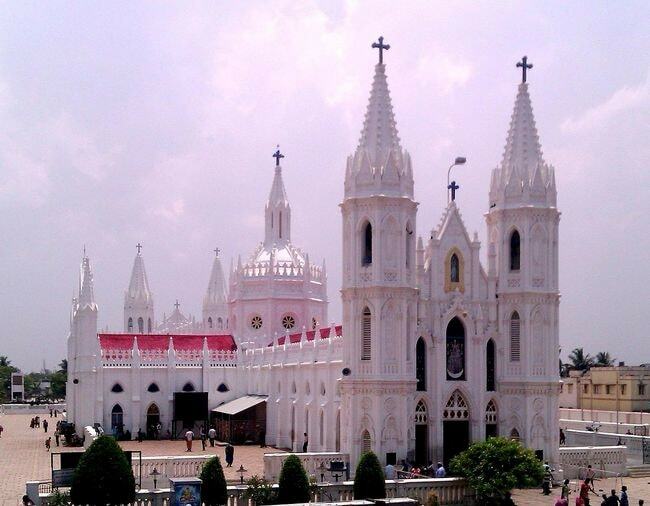 Otherwise known as Lourdes of the East, the Velankanni shrine is visited by nearly 20 million people from all across the world annually. 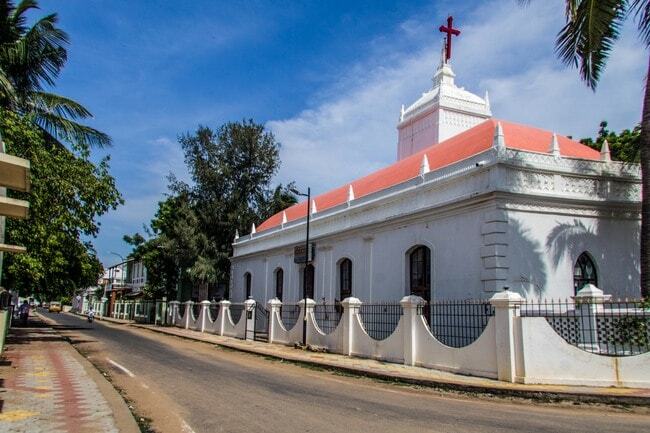 Located at a distance of 327km from Chennai, this church town is a must-visit, especially during the annual Feast of Our Lady of Good Health.